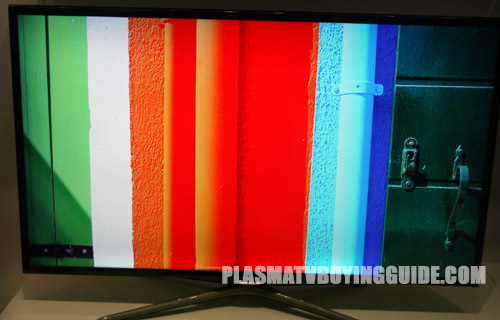 Samsung didn't have a plasma TV like the PN64F5300 last year. This 1080p model goes without both 3D playback and Smart TV. The lack of those two major features leaves this TV to the heavy TV and movie watchers as well as gamers who look for picture quality first and foremost. Plus if you already have a Roku box or current game console, there won't be a need most of the Smart Hub features. They turn your TV into a smart TV with ease. 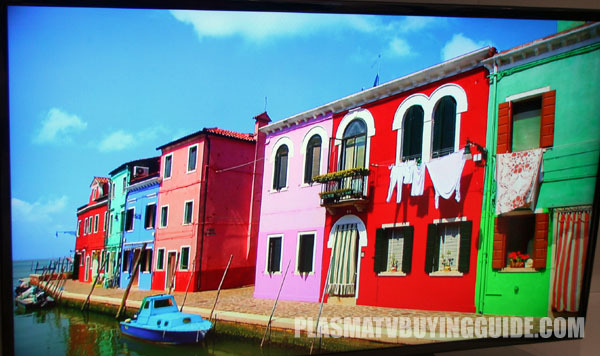 This is the value plasma for the year from Samsung's limited line of plasmas. The Samsung PN64F5300 aims to be a value oriented plasma TV that provides excellent picture quality. 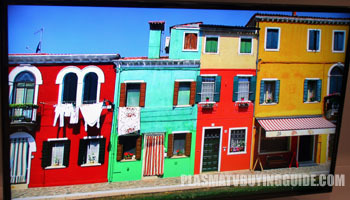 Samsung plasma TVs have one of my favorite picture renditions among all TVs today. The color space is one aspect I like even more than any Panasonic plasma once calibrations are dialed in. Screen reflections and picture brightness are the two downsides in picture quality on the 64F5300. There is not as much light flow-through as the top models on the market. The screen also doesn't get as bright, which is a typical problem with plasma displays. Those two things combined make it a tough sell for a bright room. In a controlled lighting environment, the F5300's full HD picture quality is excellent for the price paid. The colors on the PN64F5300 plasma look extremely realistic and fresh. The trend seen in many televisions these days is to push color saturation over the edge. That won't be found here. Samsung's plasma televisions continue to deliver warm and cool colors you see every day in life as well as excellent flesh tones that do not push red or blue. It is important to calibrate the settings correctly to get the optimum picture performance out of this TV. A Warm1 Color Tone setting really helps to balance colors as Standard is too cool and Warm2 introduces a great deal of green coloration. Plasma TVs are usually recommended as gaming TVs, but Samsung's plasmas has a hard time with input lag. Even with the Game Mode enabled, our tests showed input lag at anywhere between 70 and 100ms on the PN64F5300. That measurement that much different with the Game Mode off. It didn't make playing Okami HD on the Playstation 3 unbearable, but I definitely notice the lag. Gamers who mainly play First Person Shooters like Battlefield 3 or the Call of Duty series will notice lag even more. The Game Mode can be found here in the menus: System > General > Game Mode. Everything, except the coloration, is identical appearance-wise to the F5500. The PN64F5300 receives a deep brown color, as Samsung calls it, for the bezel and stand. It's a subtle touch, but provides an alternative to the standard glossy black of most TVs. It's decorated with the familiar Samsung quadra-pod stand that is seen on most of their mid-level TVs. It's not as flashy as the chrome of the F5500 and nowhere near the futuristic design of the F8500, but it's modest design works well. The TV has a thin profile of 2.2 inches in depth. Samsung's plasma TVs this year have been hurting when it comes to sound quality. Volume certainly isn't an issue, as the TVs are plenty loud and can fill a room with sound. The two 10 watt speakers end up sounding hollow and empty and voice gets overwhelmed by background noise and music. The F5300 will really benefit from a home theater setup or a sound bar. We give the sound quality a 6 out of 10. Lately, we have heard reports that some of the C-series and D-series (circa 2010, 2011) Samsung plasma TVs have had widespread problems with coloration (esp. pink or purple) against a white background. Since the longevity rating on these plasmas is 60,000 to 100,000 hours to half life, problems after 2 years would make those life span claims irrelevant. The PN64F5300 comes out to be a tough sell at nearly $1,500. Panasonic's TC-P65S60 can be had for the same price and that buys an extra inch of screen space and some internet connectivity features. LG's 60PN6500 is smaller, but has the same feature set at hundreds of dollars less. When it comes to visual display technology, few professionals have more experience and knowledge than Robert Wiley. Robert has been involved the industry since the late 90s and has watched the fixed-pixel TV market explode.